Despite different age brackets of preferences, in terms of songs, I got delighted with the song you sent us in the last newsletter. The video accompanied with the letters (the lyrics)was great. You're absolutely right when you say that music plays an important role in the language learning process. By using it, not only do we improve our pronunciation, but we get in contact with an informal kind of language that is not at all similar to the language considered to be high standard usage in terms of grammar correction. A long time ago when I was beginning to teach English to a private course, I had a colleague of mine who had excellent pronunciation that seemed native like English.
" I love music, I'm a music addict, and I owe the English I have mainly because I've always been a good and constant listener to lyrics". So, I praise the fact that you're going to use music in your materials. Another piece of advice I have got to give as a suggestion (who am I to be your adviser): As much as you can, present real conversations with the subtitles and story-telling narration recorded. For example, mystery stories, detective stories that can hold the student's attention and which will provide them with lots of lively English language with good and clear voices recorded and with difficult words, phrasal verbs and updated idioms explained in plain language. You might add questions about the dialogues and the narratives, also providing them with an answer-key. My dear Diana, once again I want to thank you for your consideration towards me. What a wonderful email. Thank you for taking the time to write me. Your emails are always very interesting and contain useful information. Not only for me (you inspire many good ideas) but for other learners as well. As for music, I think that it awakens something inside us all. Something that makes us forget about "language" and focus on the experience. (Especially good music like Florence and the Machine creates). Florence and the Machine is an amazing group. 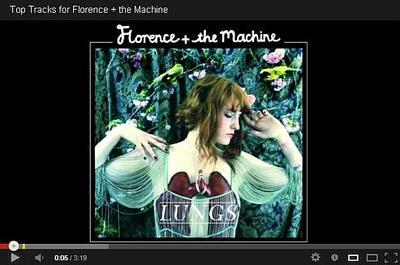 Florence is one of the best singers I have ever heard. :) The style is "timeless" and I love to list to it when I work. I will send you more information about how to prepare for an online class. Actually I will write an article and post it on the website so that everyone can know exactly how the classes work and what you need to have in order to join a class.